Jane Siberry, eclectic Canadian songwriter, is opening up her past catalogue for everyone to download, free. This is an excellent opportunity for you to try When I Was Boy, which is one of my all-time favorite albums. You won’t regret it, especially at this price. Hey Floridians! Want a book signed by me? Then you’re in luck, since I’m going to be doing a signing this Friday, at 6pm, in the Seahorse Room of the Hilton Cocoa Beach Oceanfront, in sunny Cocoa Beach. But wait, there’s more! Because I won’t be in the Seahorse Room of the Hilton Cocoa Beach Oceanfront, in sunny Cocoa Beach all by my lonesome. Far from it! I will be there with other science fiction and fantasy writers and notables, too! Who will also be signing books! For you! Yes, you! No, seriously, man. You. Paolo Bacigalupi, Neal Barrett, Jr., Christopher Barzak, Ben Bova, Richard Bowes, Jeffrey A. Carver, Adam-Troy Castro, Kathryn Cramer, A. C. Crispin, Sarah Beth Durst, Marianne Dyson, Eugie Foster, Carolyn Gilman, Laura Anne Gilman, Joe W. Haldeman, David Hartwell, Peter J. Heck, Kij Johnson, James Patrick Kelly, John Kessel, Ted Kosmatka, Mary Robinette Kowal, Edward M. Lerner, Lee Martindale, Jack McDevitt, Will McIntosh, China Mieville, John Moore, James Morrow, Stanley Schmidt, Bud Sparhawk, Allen Steele, Catherynne Valente, Rick Wilber and Connie Willis. You know. No one important to all of science fiction and fantasy in the last 30 years, or anything. 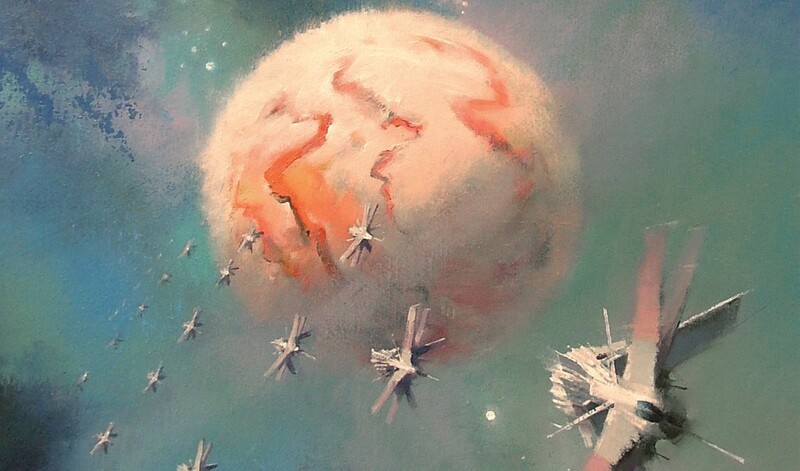 If you’re wondering why all of us will be there, it’s because it’s Nebula Awards Weekend, in which SFWA members gather together to commune, conduct business, see Joe Haldeman formally installed as a Grand Master of science fiction(!) and hand out awards. And sign books. For you. You know. If you want. I’ll be there to see friends, and to learn if I’ve won one or more of the following: a Nebula Award, a Norton Award, the SFWA presidency. I’m running unopposed for that last one, so I feel I may get lucky. But I hear rumors of Felix the Cat running a strong write-in campaign. And he does have that Bag of Tricks. So I’ll hold my breath until I get the official word. Seems prudent. In any event: Book signing. This Friday. Six pm. Cocoa Beach. Dozens of science fiction and fantasy authors. Seriously, if you’re not there, I have to wonder why you’re in Florida at all. Really? An author who has had four books simultaneously on the New York Times best seller lists, has won an unspeakable number of literary awards, has written for and/or had his books adapted to film, the most recent of which was nominated for an Oscar, and who sold roughly a million books last year, might conceivably ask for and receive a hefty sum for a speaking engagement? Shocked, shocked, I am. Aside from proof that the free market works sometimes, there’s the additional fact that Gaiman’s appearance fee was taken not from that specific library’s general fund, but out of a pool of money from the State of Minnesota designed to bring speakers to libraries, and the money in the pool apparently had to be spent by the end of the fiscal year or evaporate. Neil, in his bit linked above, rather sensibly suggests that speaker pool money like that should be allowed to roll over into the next fiscal year, but no matter how you slice it he wasn’t cruelly yanking books out of kids’ hands in order to make his financial nut. One of the folks who pinged me asked me if I would charge a library $45,000 for a speaking appearance. Leaving aside the provenance of the money in Neil’s case, the more accurate question would be could I charge a library $45,000 for a speaking appearance, and the answer to that, alas, is “no,” so would doesn’t even come into it. But if I were in Neil’s particular situation, in which someone was offering me a pot of money, not from the library’s own budget, which was going to evaporate if it were not used? If it fit in my schedule, sure, I’d do that, no problem. So, in all: Meh. I’m having trouble seeing the problem here. Here at the Scalzi Compound, we’re big fans of Holly Black, not just as a human being (we’re pals, she’s awesome) but because she’s consistently taking the idea of fantasy in YA and twisting it in new and fun ways. The latest twist: White Cat, which imagines a world like our own in which magic is not “magical” in the usual adjectival sense, but is something a little grittier, a little seedier, and not necessarily something you’d want to play with. To which I say: coool. Here’s Holly to break it down for you. If you know me from my Spiderwick Chronicles or Modern Faerie Tale series, you might not guess my love for heist movies, noir and cons. From Rififi to The Sting to Ocean’s Eleven, from Hammett to Chandler to Mosley, I love it all. I love the snappy dialogue, the twists, and the intricacy of the plots. My big idea for White Cat came from me sitting around thinking about different models for magic. I had worked out a little of the book at that point, enough that I knew I was writing about a charming young con artist named Cassel, so I wanted something appropriate to the mood of his world. What if the magic in this world worked like organized crime? From there I decided that for that to work, I needed two things (a) for everyone in the world to be aware of magic and (b) for magic to be illegal. I would have one in a thousand people have the ability to do curse magic. That way, everyone could potentially know a worker or two, but they’d still be pretty uncommon. An average high school might have one to two workers enrolled there. A large university might have as many as a hundred, between students, faculty and other staff. Given the rate of Scalzi’s traffic to Whatever, nearly fifty of you reading this would be curse workers. Curse magic was outlawed in the United States in 1929. Once it became outlawed, just like Prohibition led to the rise of the five big crime families in New York, the ban on curse magic would lead to magical power being controlled by the mob. Black market demands would keep curse work profitable and I would have the world I wanted to play in. The hardest, but also most fun part, was expanding on how having magic around would change society. – In a world where hands touching skin could be dangerous, people would want each other to wear gloves. Thus everyone wears gloves when they are in public. If you saw someone barehanded, it would be like they were carrying a knife; they might have a good reason, but you’d still want to cross the street. Since bare hands are seldom seen, they’ve become objects of fantasy. Magazines features fold-outs of scantily clad girls without any gloves. The ultimate sign of trust between any two people would be shaking bare hands. – Amulets that protect against curse work (each one cracks after it wards off a curse) are sold at drug stores and bodegas, near the counter along with the mints and lighters. It’s hard to know if you’re buying a good one or a dud, especially since curse workers themselves are needed to make the amulets, and they mostly don’t identify themselves. Cassel Sharpe, our protagonist, isn’t a curse worker himself, but he comes from a family of curse workers and con artists. His grandfather and brother work for the crime families, his father was a minor-league grifter, and his mother is in jail for working some guy into signing over all his money. Cassel is trying to stay on the straight and narrow at Wallingford Preparatory – no cons, only a little bit of forgery and some bookmaking. His memories haunt him, though, especially his memory of killing his best friend, Lila, who he loved, three years ago. He has no idea why he would have done that. When he wakes up on the roof of his dorm room with no idea how he got there, out of a dream of chasing a white cat, he begins to believe that his memories are hiding more than they’re revealing. And so Cassel begins to investigate his past and figure out who he really is and what he’s really done. Read an excerpt of White Cat. Read Holly Black’s LiveJournal. Follow her on Twitter.